Indian jewellery set in light antique gold, white and maroon red. Set with crystal diamante stones. Indian jewellery set in light antique gold, white and maroon red. Set with crystal diamante stones. 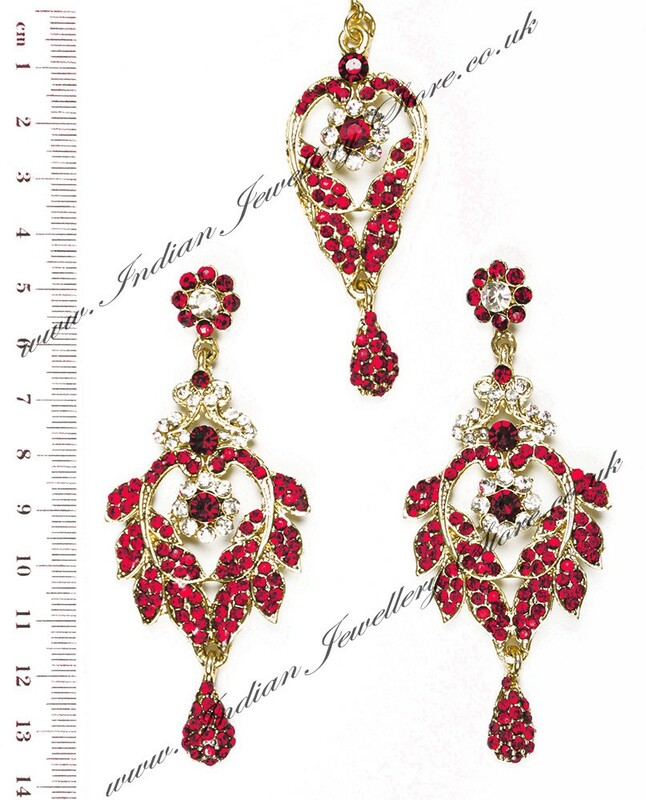 Set includes: earrings and tikka Scale shown in image is in cm.